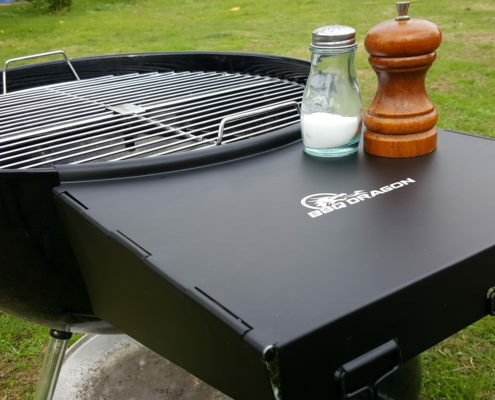 This high-quality steel shelf is a MUST HAVE accessory for Weber kettle owners! 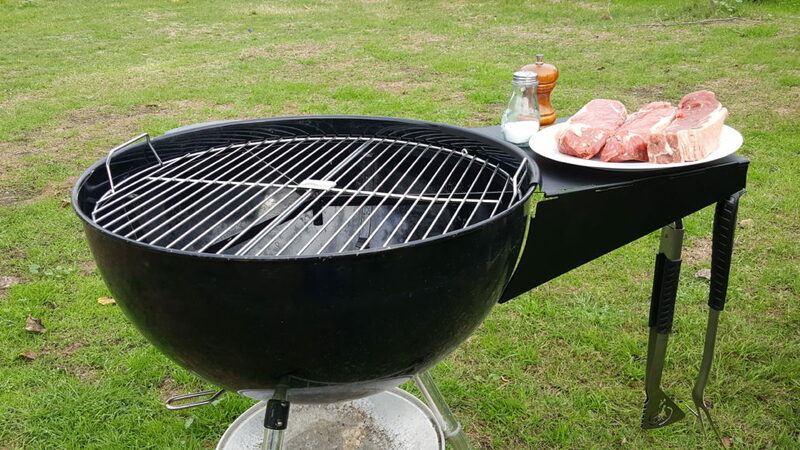 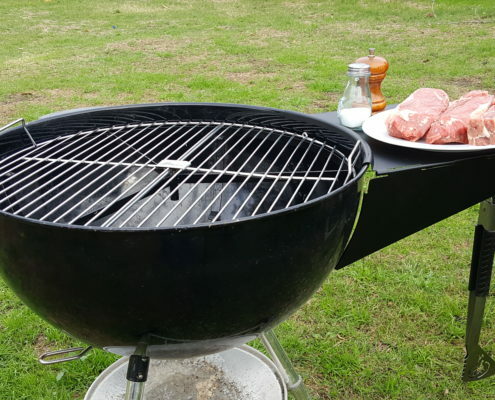 Kettle-style charcoal grills are one of the most popular grills – but they have one problem: There’s no place set food and tools! 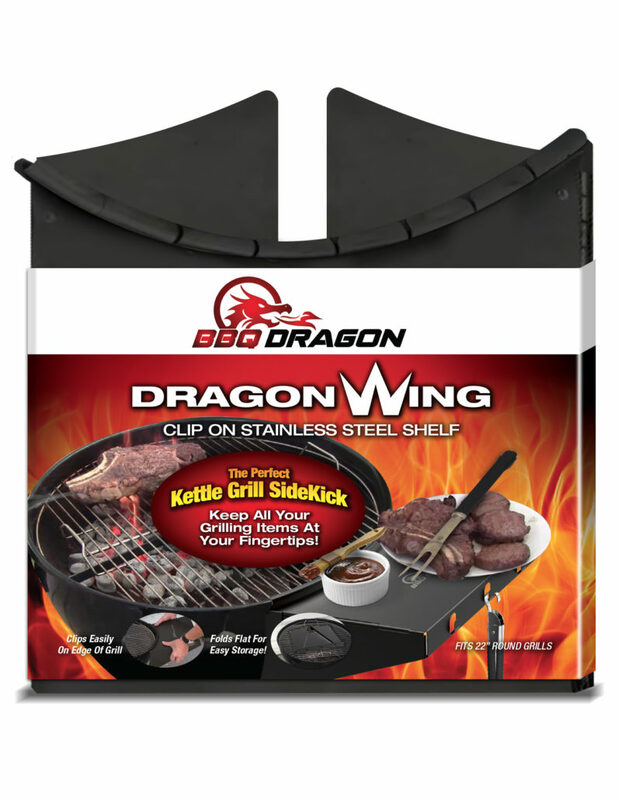 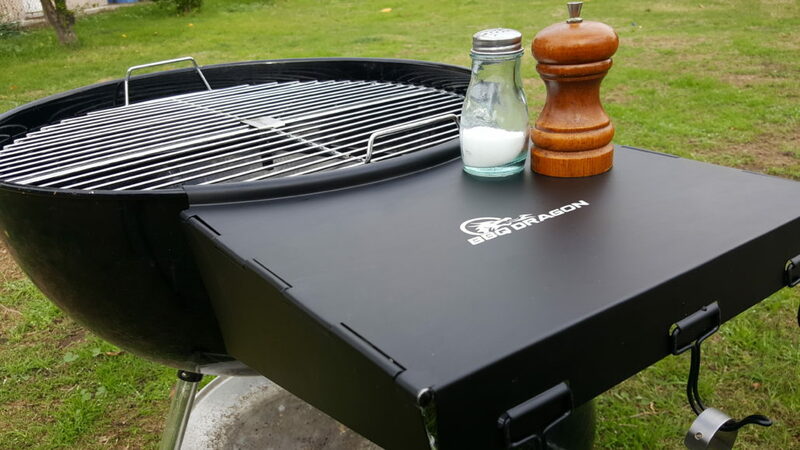 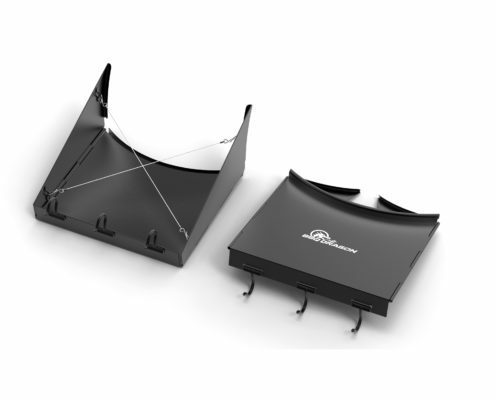 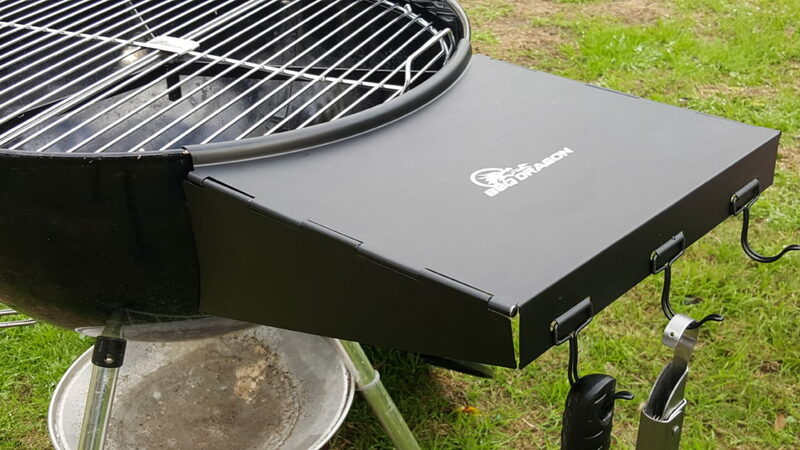 The Dragon Wing shelf solves the problem elegantly: It easily clips onto the side of your grill, and a patent-pending wire support system makes it SUPER-STRONG. 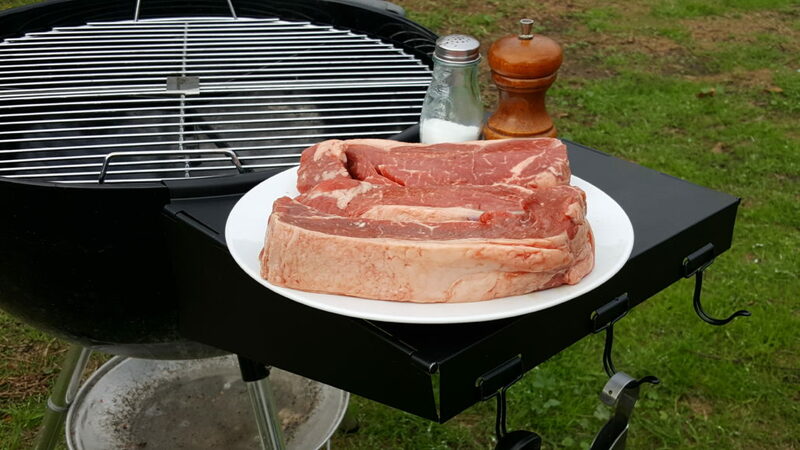 You can safely put a 10 pound roast on the shelf. 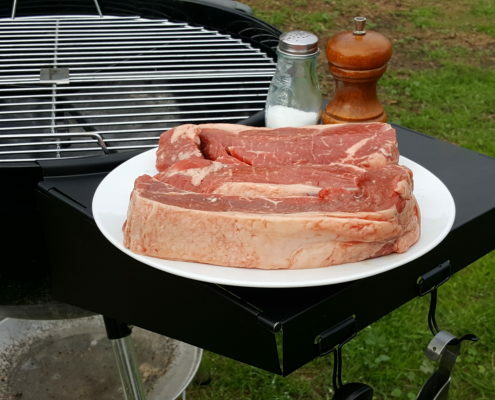 And when you’re done with it? 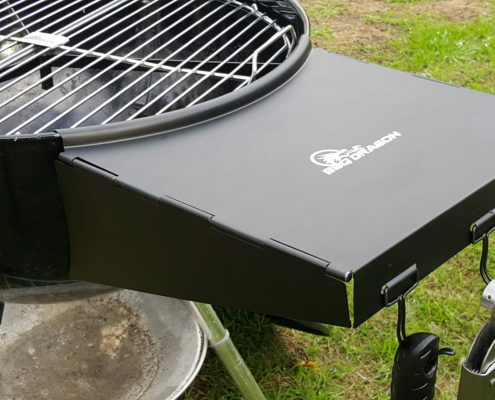 It just folds up and stores inside your grill, saving space when you’re not cooking. 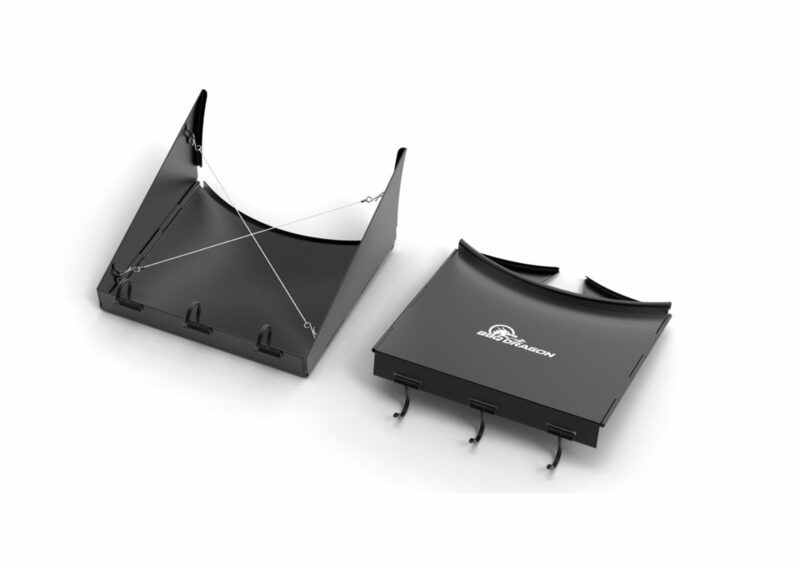 This is the one accessory you HAVE to have. 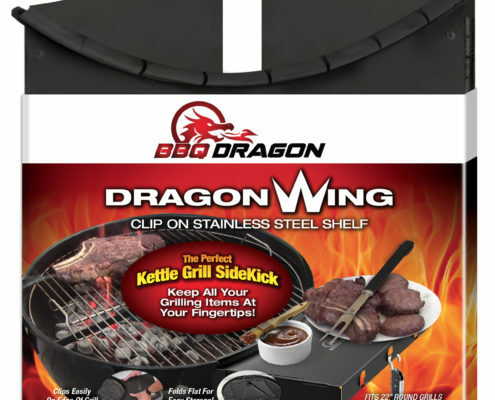 Barbecue chefs love it!